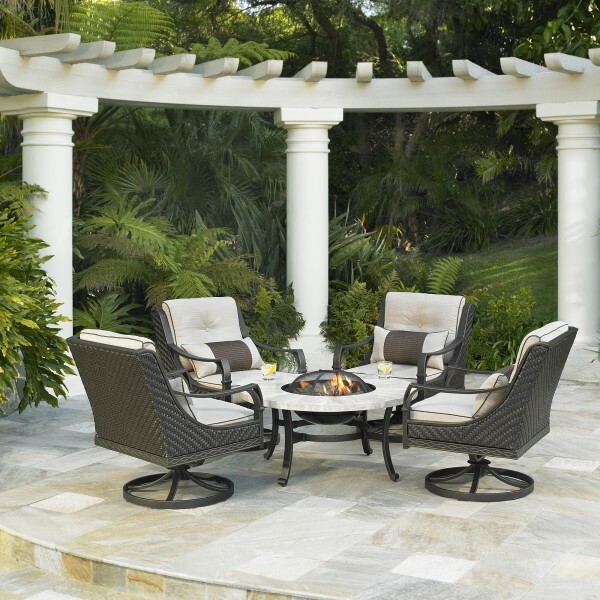 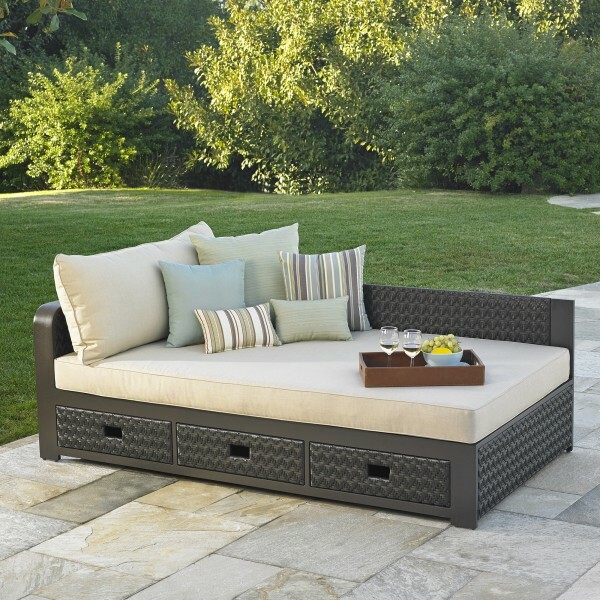 The Allison 5-piece Swivel Fire Chat Set by Mission Hills® will add coziness and warmth to your outdoor living area. 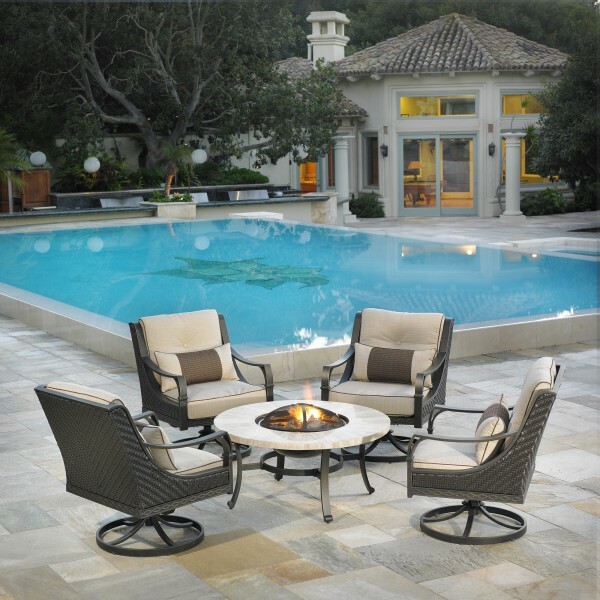 This chat set features swivel club chairs with comfortable seating for four around a beautiful stone top fire pit table. 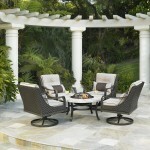 This set is perfect for gathering around the fire with friends on those chilly summer nights. 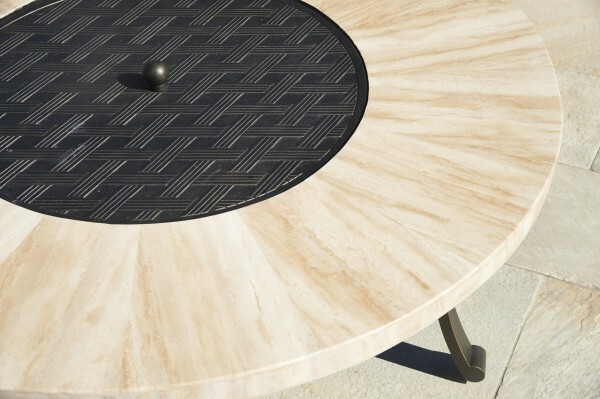 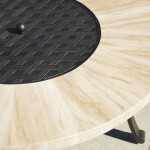 The fire pit table features a travertine table top, as well as a decorative metal cover for when the fire pit is not in use. 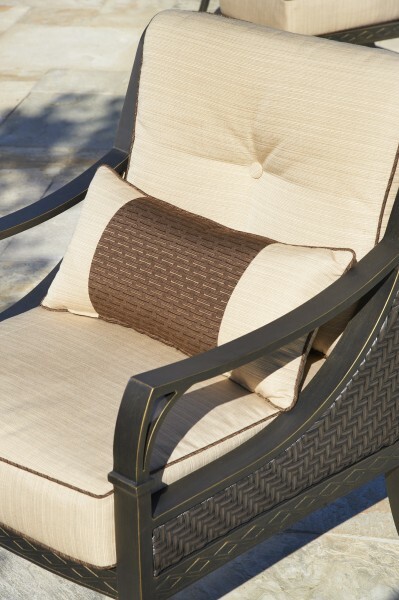 Each swivel chair is outfitted with mildew and fade-resistant Sunbrella® fabric cushions in a Dupione Sand color with Dash Walnut piping. 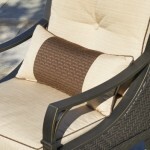 Also included with the set are four decorative bolster pillows in Dupione Sand with a Dash Walnut fabric inset. 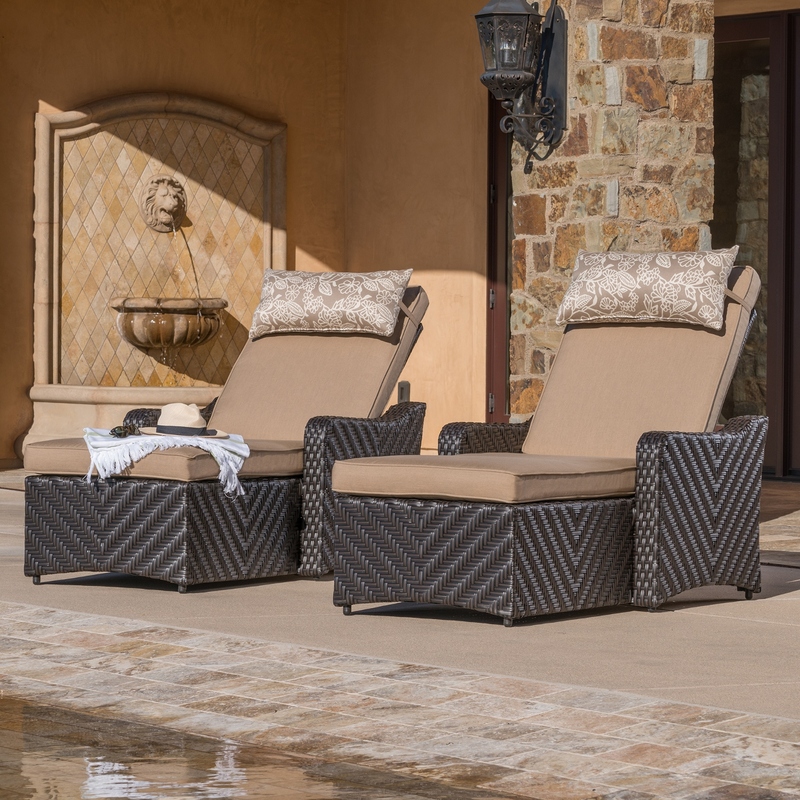 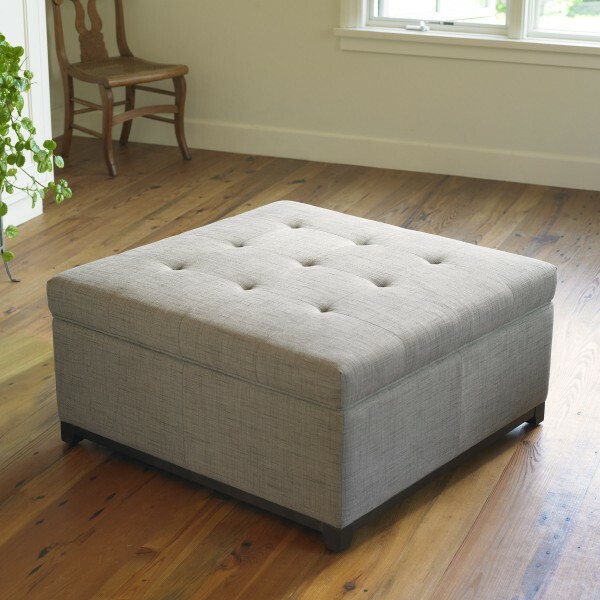 These cushions are soft and durable and will withstand intense sunlight, heat exposure and numerous cleanings. 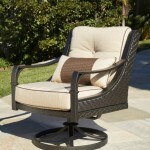 The frame is made from lightweight, yet sturdy powder-coated aluminum and is detailed with a hand painted brushed finish. 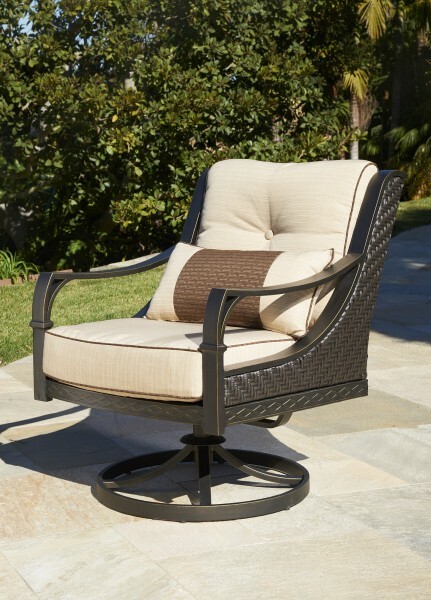 The swivel club chair’s back and side panels are covered in all-weather UV resistant woven wicker to ensure long-lasting performance and beauty.